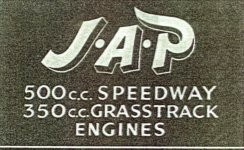 John says: No activity between 1993 and 2004 and Keith Dyer says: Thanks to Terry Kirkup for his input to this page. 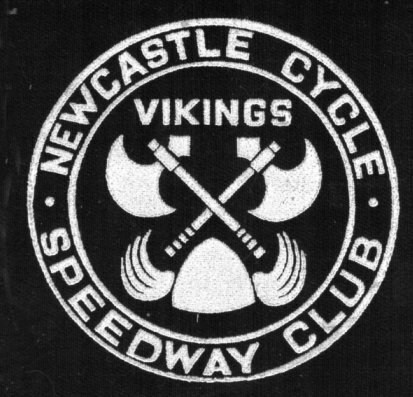 After the disaster of 1992, it seemed cycle speedway was finished in Newcastle. And so it was until 2005 and a surprise one-off meeting. On 15th February, Keith Dyer arranged a reunion of as many ex.riders as could be contacted. It was a great success with many riders from the 60s to the 80s attending. 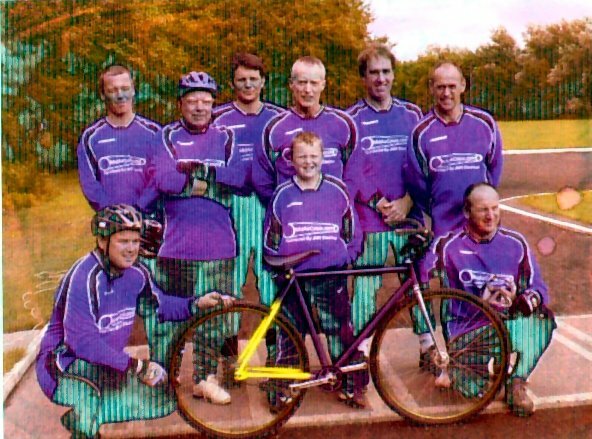 By this time Terry Kirkup had formed the Newcastle Mountain Biking club, John Wilson and then Jason Keith again took to two wheels, and naturally cycle speedway was one topic of conversation. Training sessions for fun were held in Wallsend. 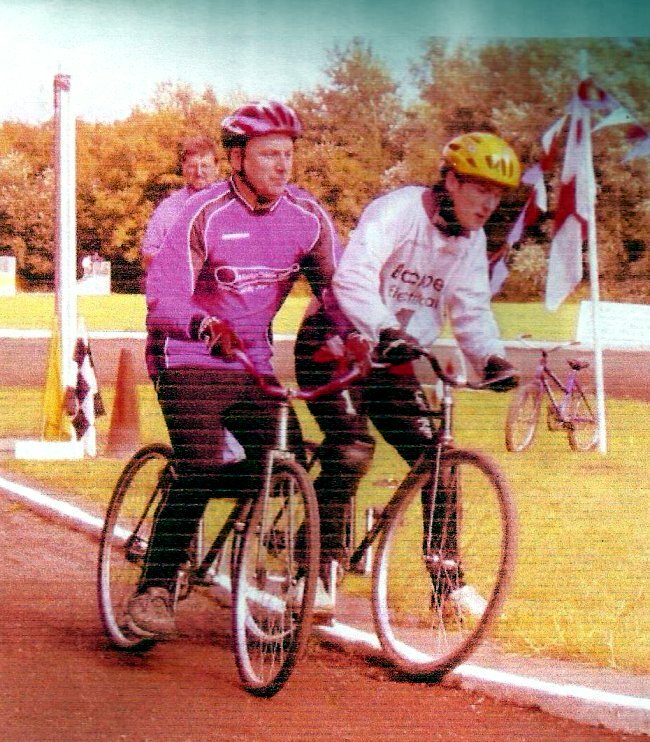 Meanwhile Ashie Patterson and Mick Hoult had decided to take part in the British Veterans at Wednesfield (Wolverhampton), Terry was also persuaded against his better judgement to take part. It wasn't long before a team meeting was proposed, and Terry arranged a challenge at Hull. A mini bus was hired and Terry, Mick, John, Jason (who supplied the tops), Ashie and 2 mountain bike friends of Terry, together with Keith, Jim Graham and Colin Grant and assorted wives and girl friends set off for Hull on 31 July 2005. As it turned out Hull had a strong team out and scored an easy win 106-73. There were however, strong performances from John, Jason and Terry, while the newcomers, David Hope and Andy Smith were not disgraced. Mick, Ashie and Keith (in at the last moment) struggled. The Newcastle side at The Hessle Raceway, Hull. L-R standing :- David Hope Keith Dyer Andy Smith Terry Kirkup Ashie Patterson Mick Hoult. Kneeling :- Jason Keith, mascot & John Wilson. John says: So thanks to Keith Dyer in getting the ex-riders together. It acted like a sparkplug and the sport was back firing on all cylinders. Copyright © 2011 Keith Dyer. All rights reserved. Advertisers/sponsors are welcome on this website. email for the price.